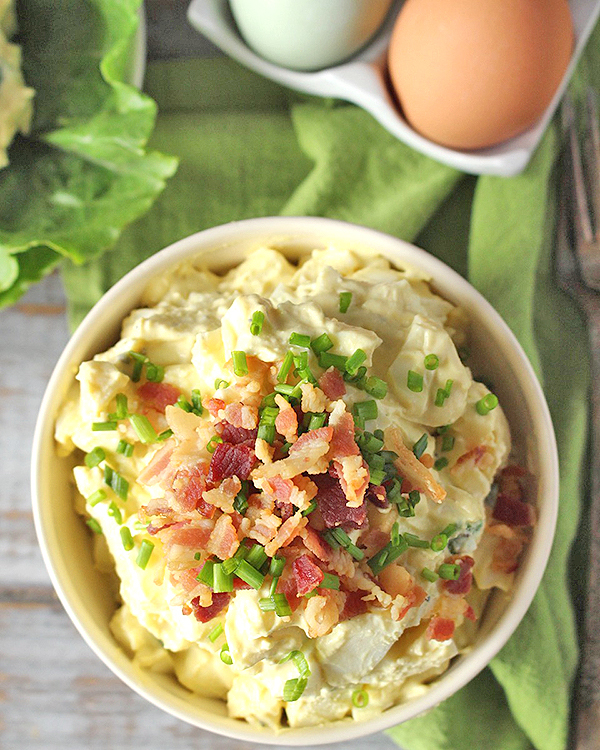 This Paleo Whole30 Classic Egg Salad is easy to make and is cool, creamy, and delicious! 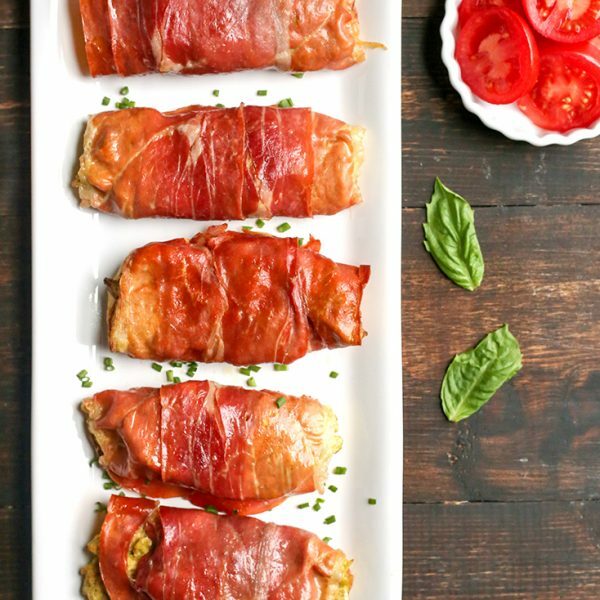 Comfort food made healthier. 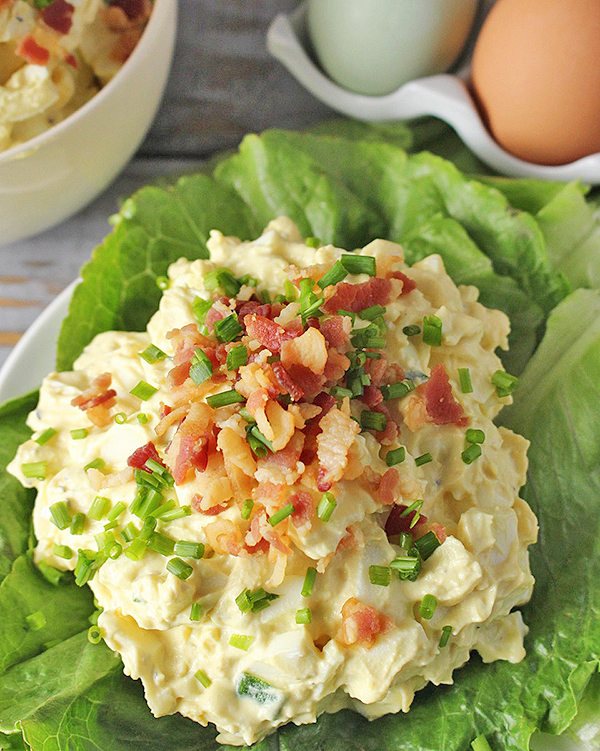 Egg salad is one of my favorite quick meals to make. 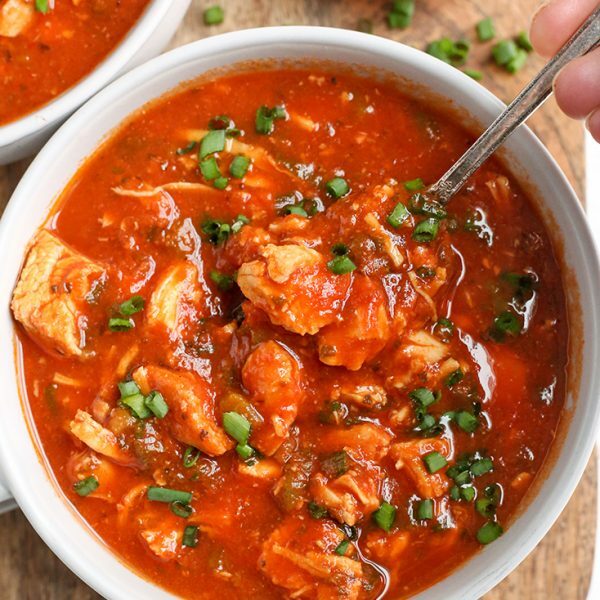 It’s easy, tasty, and I always have the ingredients on hand. Ever since I’ve had my Instant Pot, that’s the only way I make hard boiled eggs. That means this can be made in under 15 minutes- how awesome is that? 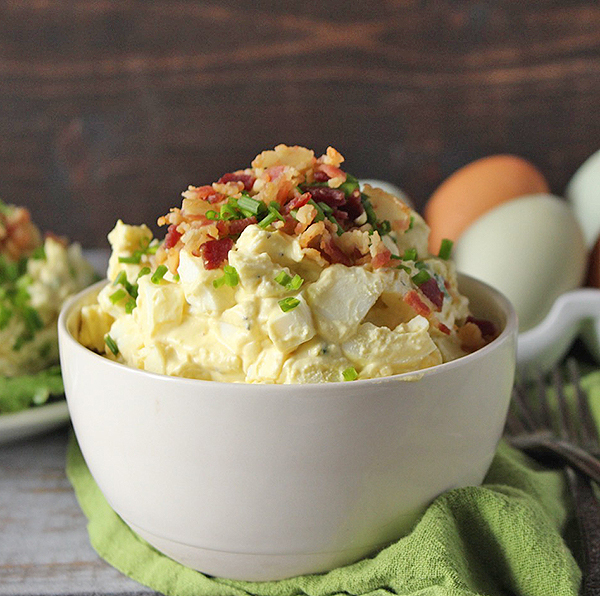 Now maybe you have an overabundance of hard boiled eggs already- possibly from Easter? Then this is the salad to make! You’ve already done the hard part, now all you have to do it chop and mix and it’s made! Serve it on some lettuce, straight from the bowl, or some gluten free bread if you tolerate that. 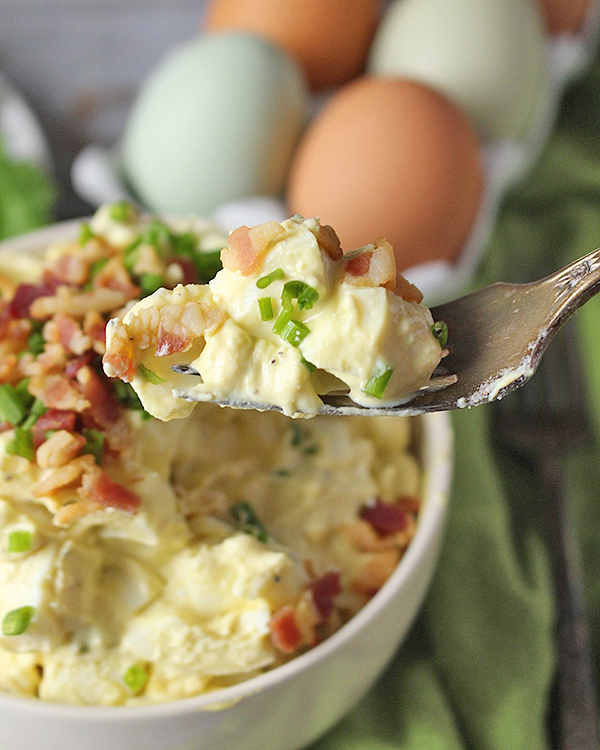 You will love how creamy this egg salad is. I made sure to use enough mayo to generously cover all the eggs without being overwhelming. The mustard gives it a slight tang and the green onion adds some flavor to keep it from being boring. I decided to top it with bacon and chives because you can’t really go wrong with bacon. That is totally optional though and not necessary. 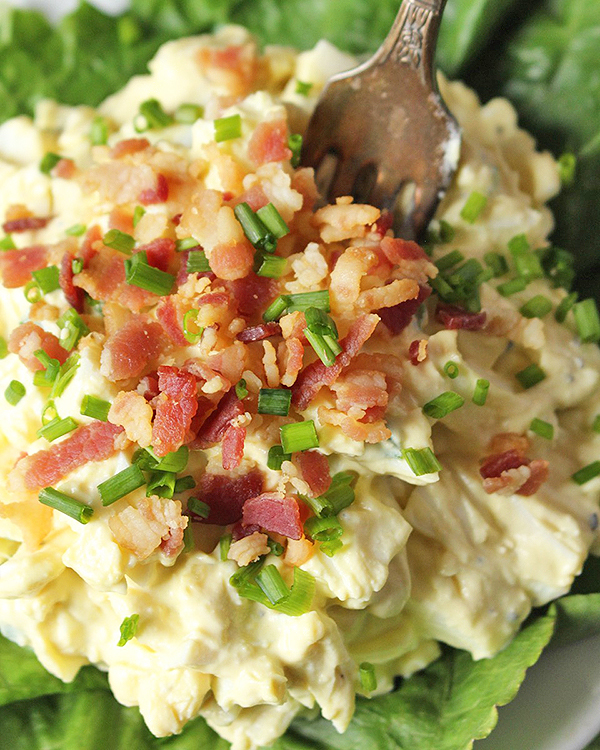 I used my Homemade Paleo Mayo for this recipe because it’s so quick and easy. Some high quality store bought mayo will also work, though. I really like Primal Kitchen because it has no added sugar and is Whole30 approved. 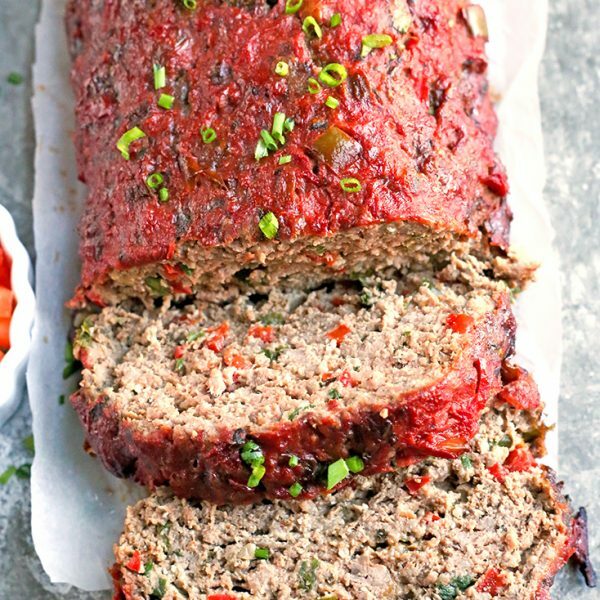 This would be the perfect lunch or dinner in the summer when you don’t want to cook. I almost always have hard boiled eggs in the fridge and I’ve made this more times than I can count for a quick meal. Or if you’re doing a Whole30 and you are sick of cooking. It happens!! 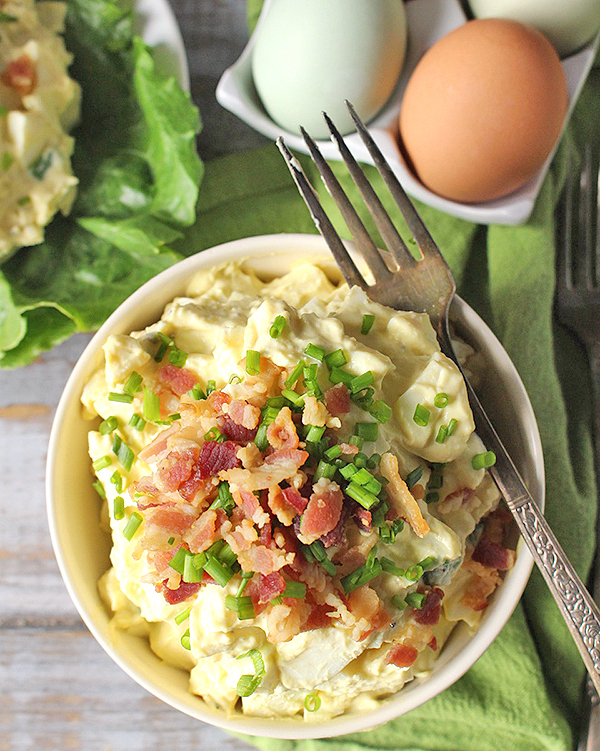 This egg salad will not let you down! 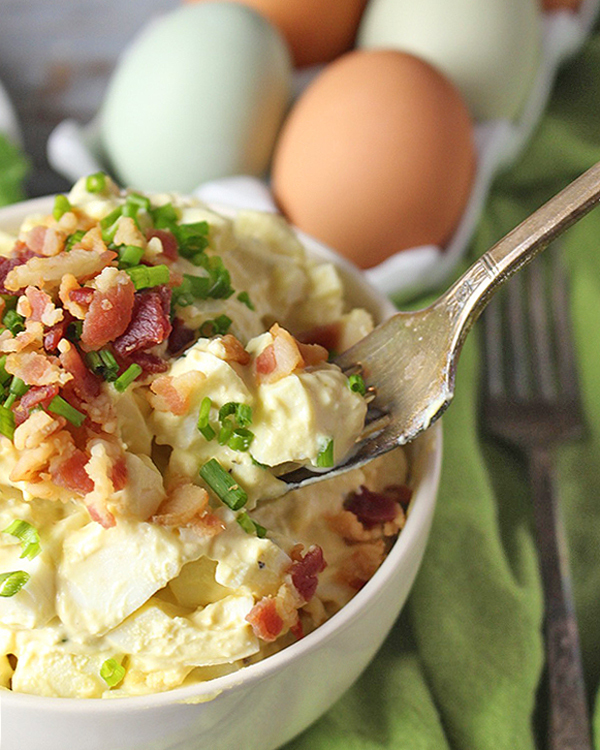 You will love this classic, creamy, flavorful egg salad! Simple and satisfying. 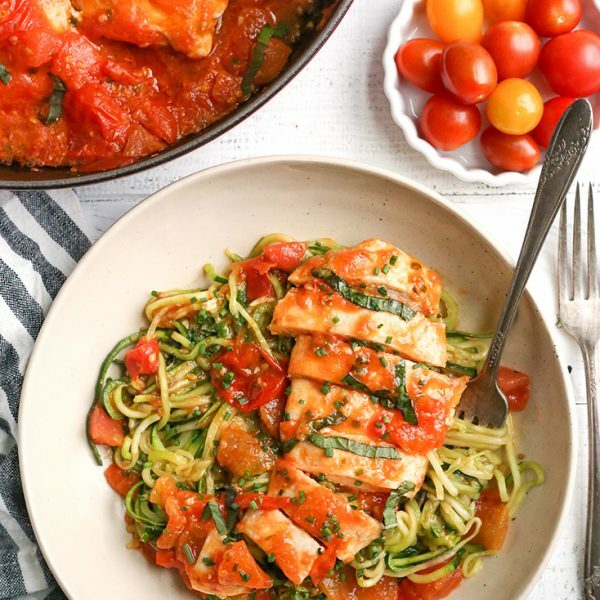 Just a reminder this is Whole30, gluten free, dairy free, and low FODMAP- Yay! Get a large bowl out. Peel and rinse eggs and pat dry. Chop into small pieces and place in the large bowl. Add in mayo, mustard, salt, pepper, and green onion. Top with bacon and chives if desired. ** or to taste. I use Real Salt, but if using table salt it may be less. This can also vary depending on type of mayo you use. Taste once it's mixed and add more if needed. Quick & easy! Also yummy 🙂 Thank you for sharing! You’re welcome, Ashley! Thanks for trying it and for the great feedback! How do to you determine how many servings this makes? Hi Trang- that varies from person to person, but I’d say 3-4 servings. Hope you enjoy! Awesome side dish! Served with fish. Thanks, Peggy! So glad you like it!